Cristiano Ronaldo To Face His Second Long Ban Of The Season? European and La Liga Champions Real Madrid have started their domestic season in an awful manner, and after just 10 games, are 8 points behind arch-rivals and league leaders Barcelona. Los Blancos’ faithful are suggesting that the absence of their superstar Cristiano Ronaldo in the beginning of the campaign caused the major turn-around, after they enjoyed an outstanding season last term. The Portuguese winger was slapped with a five-match ban following a red card for diving and later pushing the referee during his side’s Spanish Super Cup victory over Barcelona, and since then, Madrid haven’t really found their groove. The Spanish Champions’ loss to the newly promoted Girona seems to sum up their current form. The match, which saw Real throwing away their one-goal lead, something very unlike them, and later conceding twice, resulted in three dropped points. 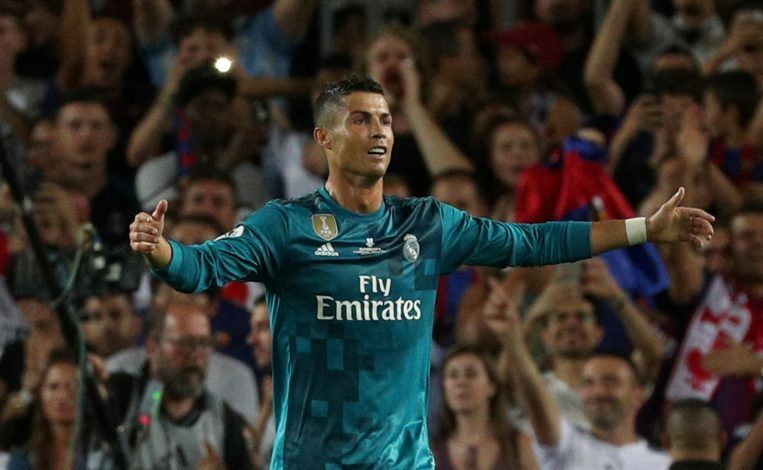 The result now has them eight points behind leaders Barcelona, but the disappointing match was even more dreadful for Ronaldo, as the 32-year-old once again failed to find the back of the net, and has now only scored once in La Liga. Furthermore, as per Mirror, CR7’s misery could possibly increase, after the Portuguese star was caught on camera, grabbing an opposition midfielder’s head during the game. The incident took place following a corner, as ‘Ronaldo was caught grappling with Girona midfielder Pere Pons,’ and later grabbed his head when the Madrid star realized that he wouldn’t be able to win the ball. And now, the four-time Ballon d’Or winner is under the risk to getting sidelined again for a ‘few’ matches, something Zinedine Zidane would be praying doesn’t happen. Real’s defeat to Girona ended their run of 13 wins in a row away from home – their best run ever in the competition.